Gain the keys to forming relationships with lawyers and accountants. Many wealthy households depend on their attorney or accountant to be their trusted family advisor. These professionals represent a vital referral opportunity for financial providers and advisors. Lawyers and accountants consider referrals to a financial advisor to be a value-added serivce. They will not make a referral to someone they think will jeopardize the relationship they've built up with their clients. This report features revealing interviews with accountants and attorneys who divulge the advisor do's - and most important - the don'ts that can make the difference between trusted and frequent referral to deleted contact. "I'm always trying to look out for the best interests of my client so they can be successful in what they have. So I try to put them with the right people that would help." "I never like to give one person as a recommendation. I like to give three, and let the person getting the information make the right decision." Discover their primary reasons for recommending a specific financial advisor or provider. Reveal how accountants and attorneys initially meet these advisors. Do advisor designations or firm size impact recommendations? 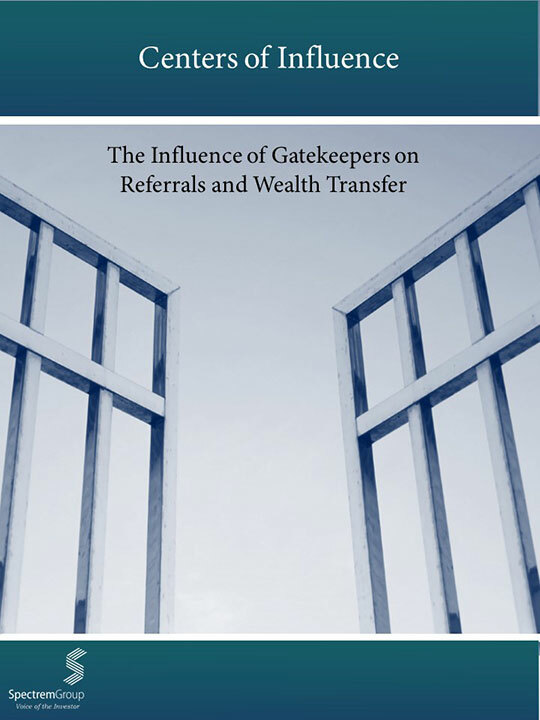 Uncover the advice these potential gatekeepers have for financial advisors and providers.